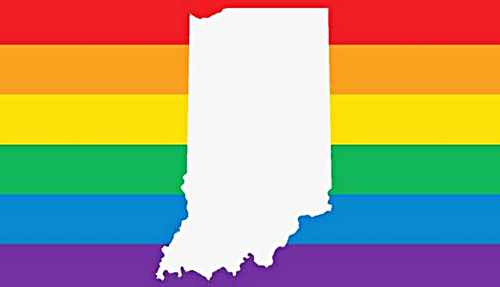 More than 100,000 people were estimated to have attended Saturday’s Indiana Pride March and Festival in Indianapolis to show their support just months after the Republican-dominated state legislature passed, and Gov. Mike Pence, signed, a religious exceptions law that would allow business owners to refuse service to gay couples on religious grounds. The law, officially called the Religious Freedom Restoration Act. If you would have told me that it would ever be this big, I would have laughed out loud,” longtime attendee Amber Maynard said. The days after Mr. Pence signed the religious exceptions law are recalled in gay circles here with dread. But the LGBT community and it’s allies across the country stood up for what was right with boycotts and major businesses and conventions including Angie’s List threatening to pull out of the state. After 17 Months Bradley Manning To Get First Court Appearance – FREE BRADLEY MANNING!